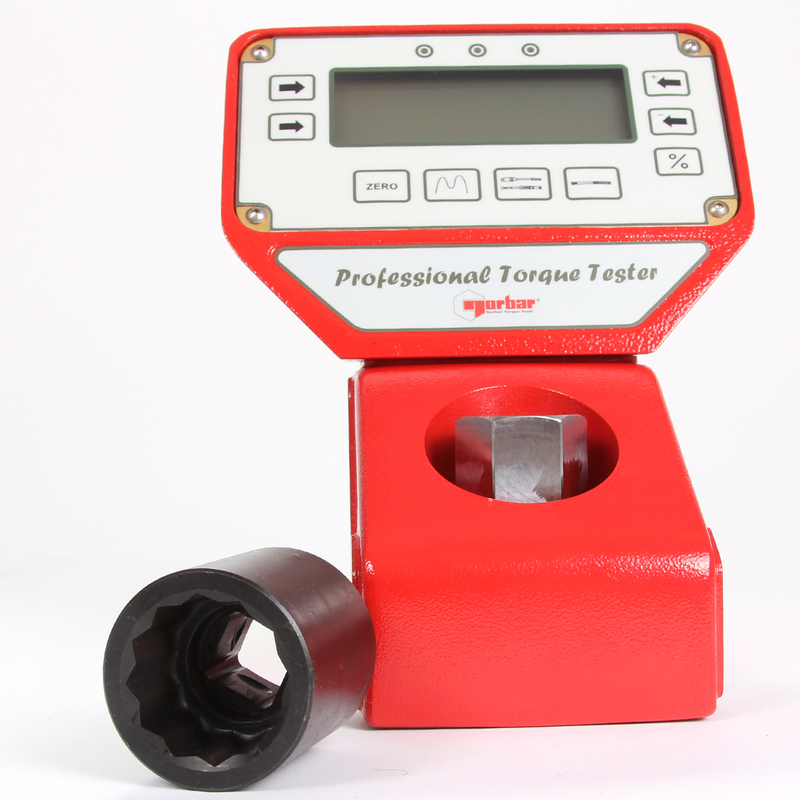 The Professional Torque Tester – Series 2 Pro-Test, is an accurate, highly specified and easy to operate electronic torque measurement instrument purpose built for testing and calibrating all types of torque wrench. The Norbar Pro-Test is priced to make in-house testing an affordable option for even the smaller industrial and automotive torque wrench operation. Norbar’s Pro-Test is priced to make in-house testing an affordable option for even the smaller industrial and automotive torque wrench operation. The Norbar Pro-Test offers a guaranteed classification to BS7882:2008, Class 1 or better over the primary calibration range (20% to 100% of full scale), Class 2 or better over the secondary calibration range (lowest calibrated value to 20% of full scale). Class 1 equates to +-5% of reading. Three essential operating modes allow the Pro-Test to be used with all torque wrench types. The “Track” displays the live value, “Peak Memory” records the highest value and “First Peak Memory” records the first peak of torque (for click type wrenches). Both memory modes can be used with manual or automatic reset. Large back lit display allows the Pro-Test to be easily seen from a distance and in poor light. Display and Transducer are hard wired together with a 600mm cable. Operator can select preferred language to work in (most European languages are included). Optional mounting plate allows for greater number of mounting options. Supplied in a durable carry case with a data transfer lead to connect to a PC or printer. As per the standard, all transducers are calibrated in a clockwise direction. For additional anti clockwise direction order Part No. PROTEST.CCW.